What Will $700 Rent You In Raleigh, Right Now? Listed at $700 / month, this 260-square-foot studio apartment is located at 211 Ashe Ave. In the sunny apartment, you can expect hardwood floors, high ceilings, a walk-in closet and built-in storage features. The building features assigned parking. Good news for pet owners: cats and dogs are welcome. 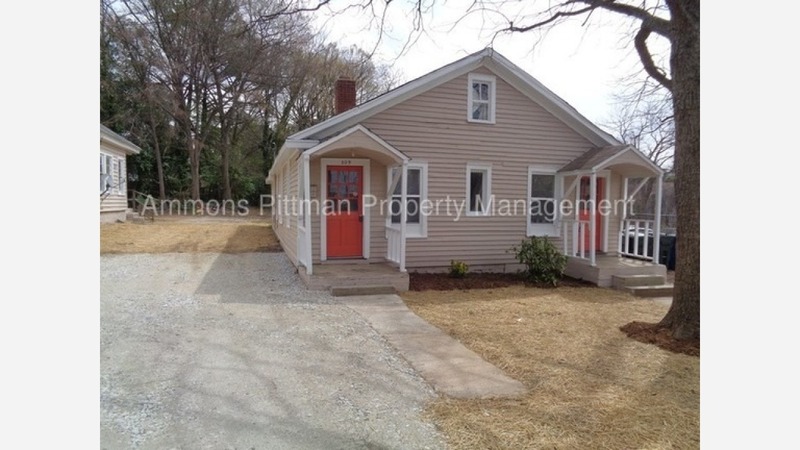 Next, there's this 1-bedroom, 1-bathroom apartment located at 2914 Ridge Rd. It's also listed for $700 / month for its 676 square feet of space. In the lower-level unit, there are a dishwasher, a wood-burning stove and carpeted floors. The building has on-site laundry and outdoor space. Both cats and dogs are allowed. Here's a 1-bedroom, 1-bathroom apartment at 302 Park Ave. that's going for $695 / month. In the unit, you'll get in-unit laundry, carpeted floors and ample natural lighting. The building has assigned parking. Pets aren't welcome. Next, check out this 1-bedroom, 1-bathroom apartment that's located at 309 Kennedy St. It's listed for $600 / month. The unit has granite countertops, generous cabinet space and great natural lighting. Pets aren't allowed.